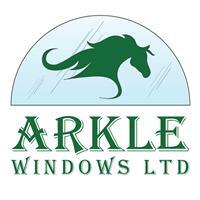 Arkle Windows Ltd - Windows/Doors/Conservatories based in Halifax, West Yorkshire. Thank you for visiting our profile page for Arkle Windows Ltd.
Arkle Windows Ltd is a family run business with over 30 years experience in the uPVC windows, doors and conservatory industry. We take great pride in our work and customer service is very important to us. Our reviews speak for themselves! We specialise in composite doors and insulated conservatory roofs, as well as installing quality uPVC windows and doors. We also install porches and complete conservatory/orangery builds. You won't find any pushy sales men at Arkle Windows Ltd, so please don't hesitate to contact us for a free no obligation quote.